ItemCUMB_983.127.002 - Chinese Funeral Procession on Streets of Chinatown, Cumberland B.C. Item CUMB_983.127.002 - Chinese Funeral Procession on Streets of Chinatown, Cumberland B.C. 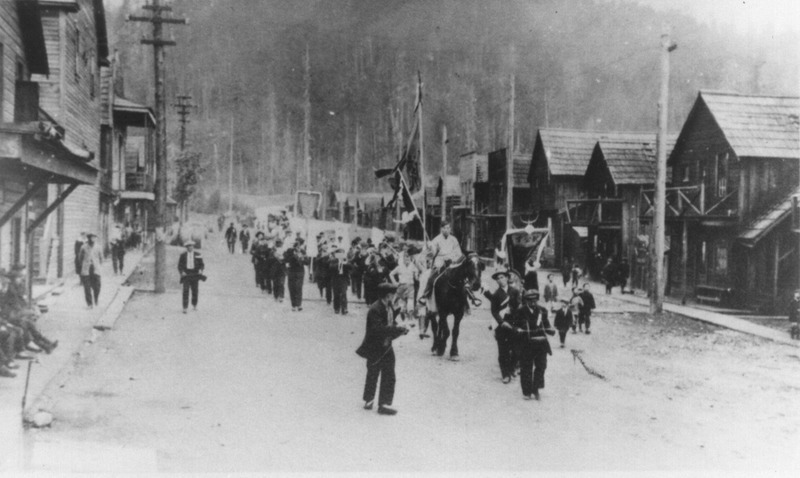 Chinese Funeral Procession on Streets of Chinatown, Cumberland B.C. 2 photographs; 2 negatives 35 mm; black and white prints. People Identified in this photo are: Chan (Parade Marshal), Lee Hun (Drummer), Mak Kwong (Person on Horseback), Wong Foon Chew (in costume in the front of the band), Harold Hing Lim (Child wearing a cap on the right side). Photo ca. 1920's.